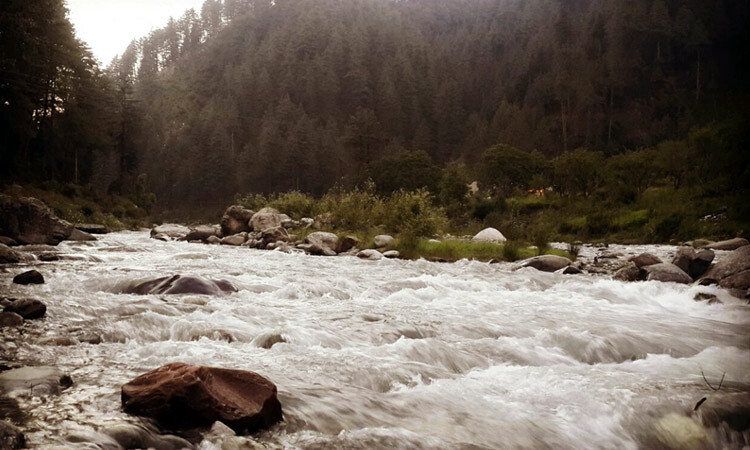 An escapade into the whimsical Barot Valley is bound to take you into a world of unparalleled charm and breathtaking natural beauty. 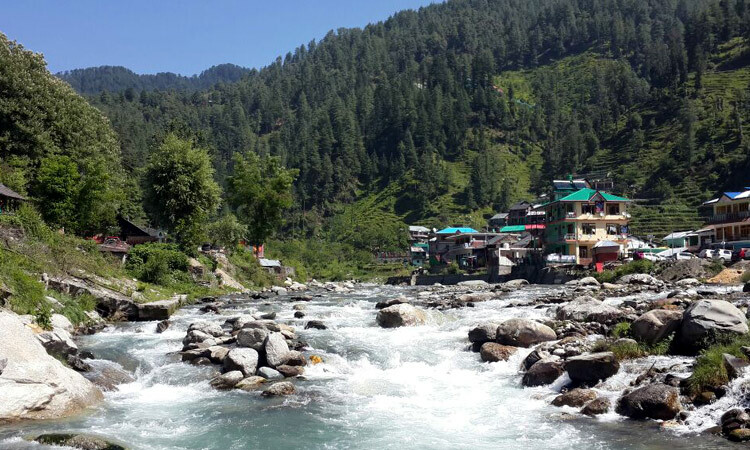 Befriend the gushing Uhl river, the dense deodars and the lovely inhabitants, and let Barot sway you away with its still intact old world charm. 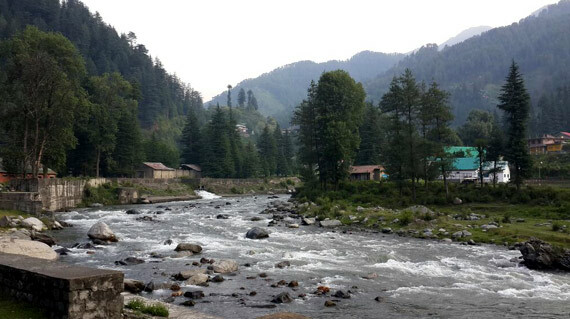 Located at a distance of around 66 kms from Mandi, the village of Barot is set amidst an astounding beauty of nature. Still far away from the commercial eyes, the village has still managed to retain its old world charm. Surrounded by thick Deodar forest, the village is bisected by the River Uhl, that provides a great opportunity for angling and fishing aficionados. The village boasts of a Trout Breeding Centre, from where fish are released into the Uhl. 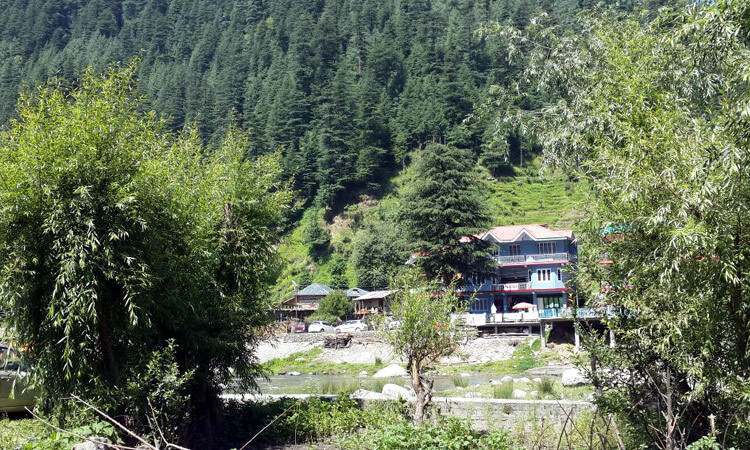 Barot is hidden in the lap of the stunning Chauhar Valley, known for the many temples of local Gods. Dev Pashakot is believed to be the King of the Valley. It also contains some exotic varieties of herbs and flowers having great medicinal values. 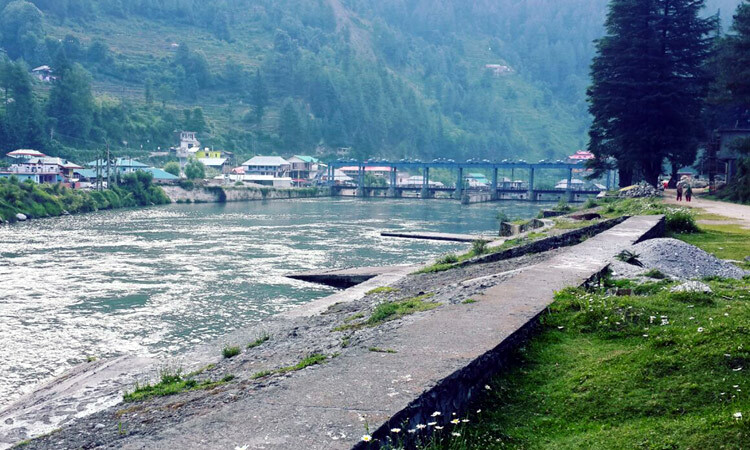 Barot is also known for its hydel power project, set up by the Britisher's in the pre independence era. The Uhl river barrage and the reservoir lie in the heart of the village. 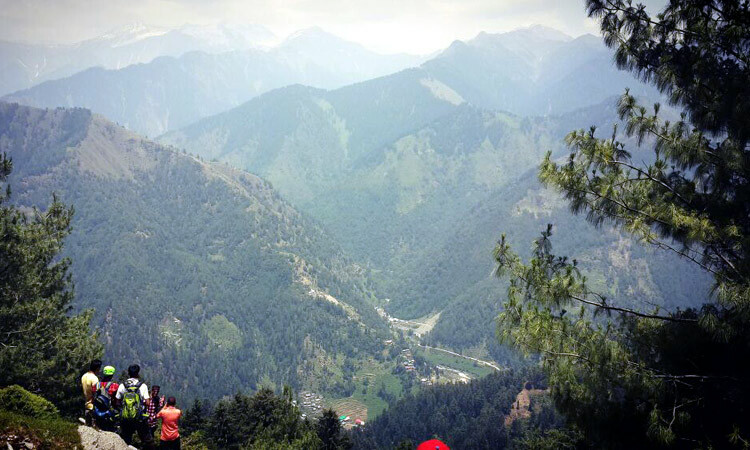 Whether you are looking for a time in soulitude, or wish to explore some hidden trails into the middle of nowhere, Barot has got some beautiful surprises rolled up its sleeves. A tiny and sleepy hamlet it may be, but it has got all the ingredients to make your escapade into a lifelong experience. Take the Chandigarh - Manali highway to reach Mandi. Turn left after the Mandi bus stand to get on the Mandi - Pathankot highway. 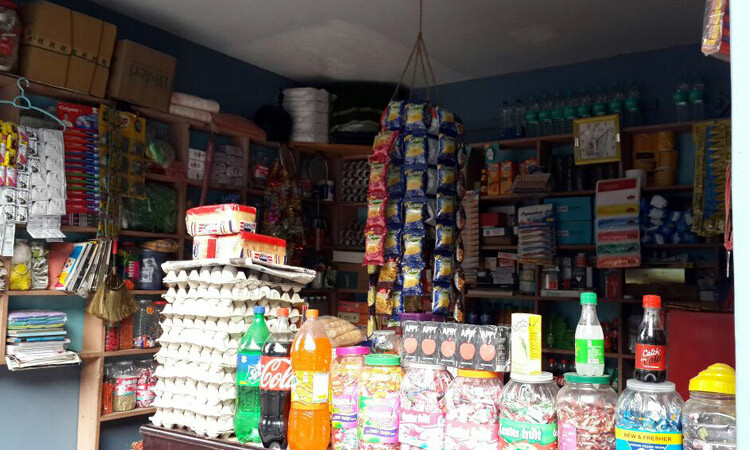 Road to Barot is branched from a small village Ghatasani, which is around 40 kms from Mandi. Ghatasani can be identified with sowcasing a large gate welcoming visitors to Chuhar Valley. 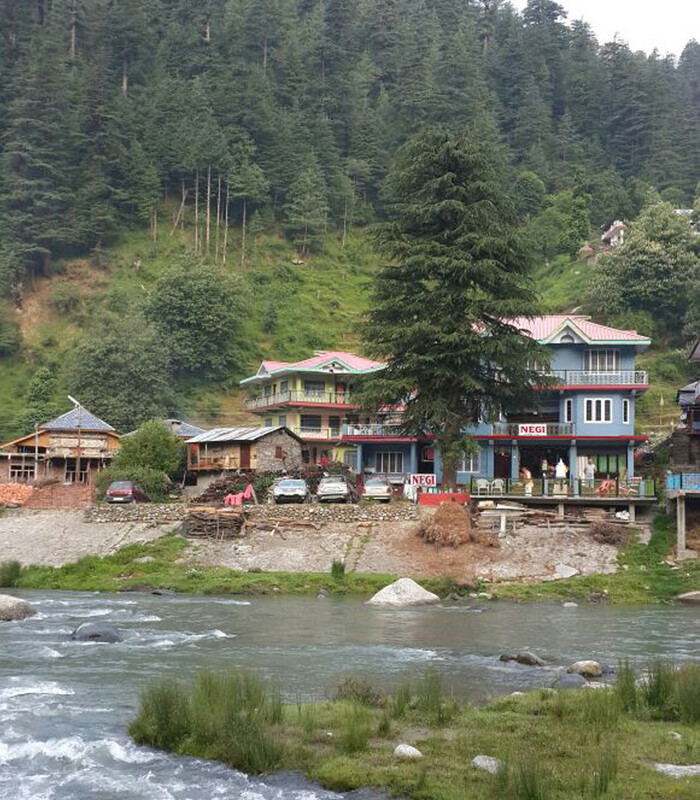 Ghatasani is the entrance point or gateway to the Barot Valley. 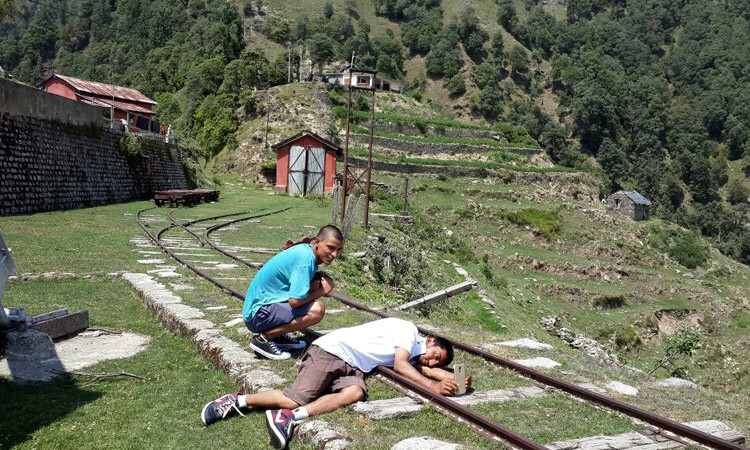 Barot lies at a distance of 25 KMs from Ghatasni and it normally takes around 90 min to reach. Leave the dust and the heat of the plains behind and make your way into the arms of the magical mountains. 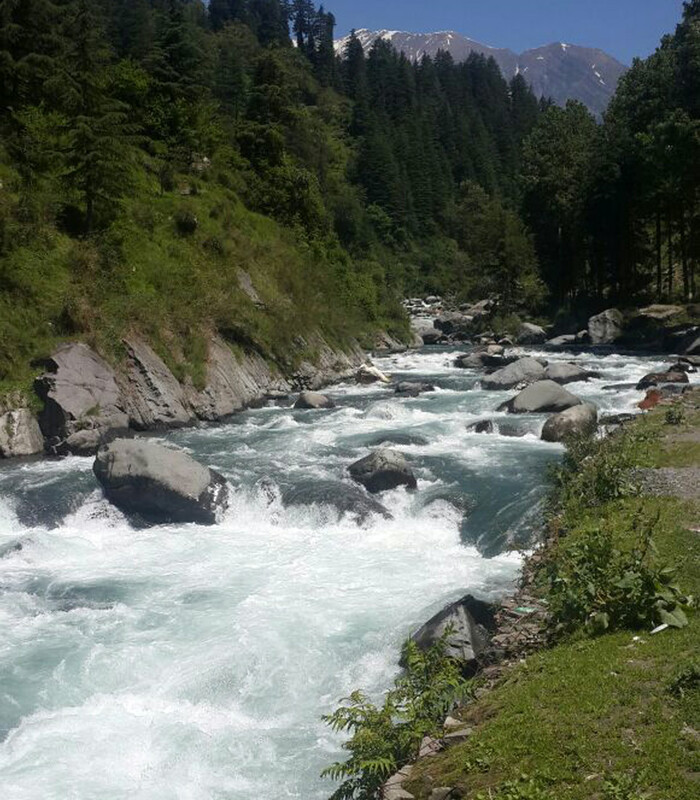 By the time you reach Barot, the pine scented cool breeze and the voice of the gushing river streams would already have captured your conscience and taken into a world of unparalleled charm and cascading beauty. The views of the stunning terraced fields and the occasional waterfalls en route are not only a treat to the eyes, but to the soul as well. Arrive at your home stay, located beautifully on the banks of river Uhl. Welcome drink upon arrival. 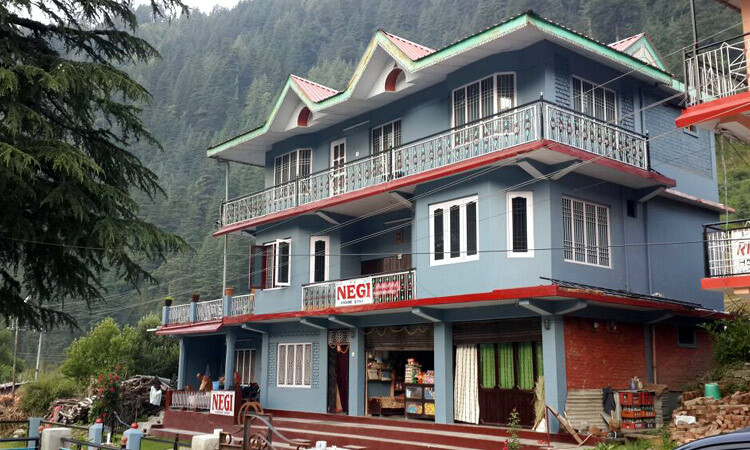 Relax, sit back on the home stay's terrace, and give your tiring muscles a well deserved rest, as you soak in the beautiful views of the gushing river up front, and the dense deodar forest in the backyard. Spend the first day at leisure. Explore the village at your own pace. 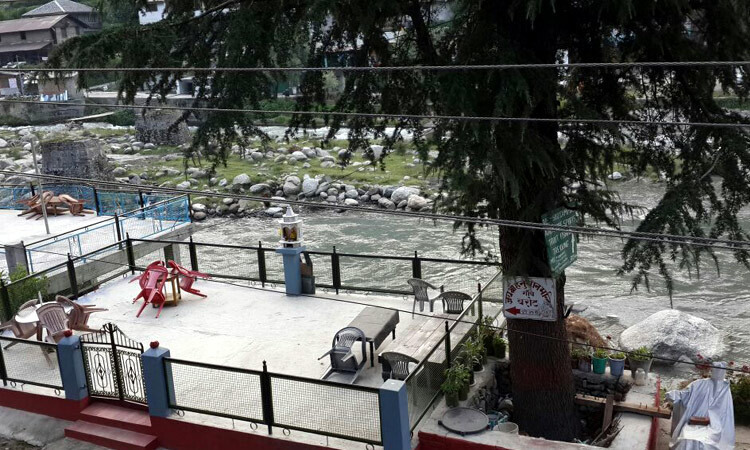 Walk across the river front, sit at the local dhabas, interact with the locals, and let Barot sway you away with its effortless charm. Bonfire and dinner at the home stay. Have a hearty breakfast and get ready to explore the Chota Bhangal region, one of the remotest areas of Himachal Pradesh. 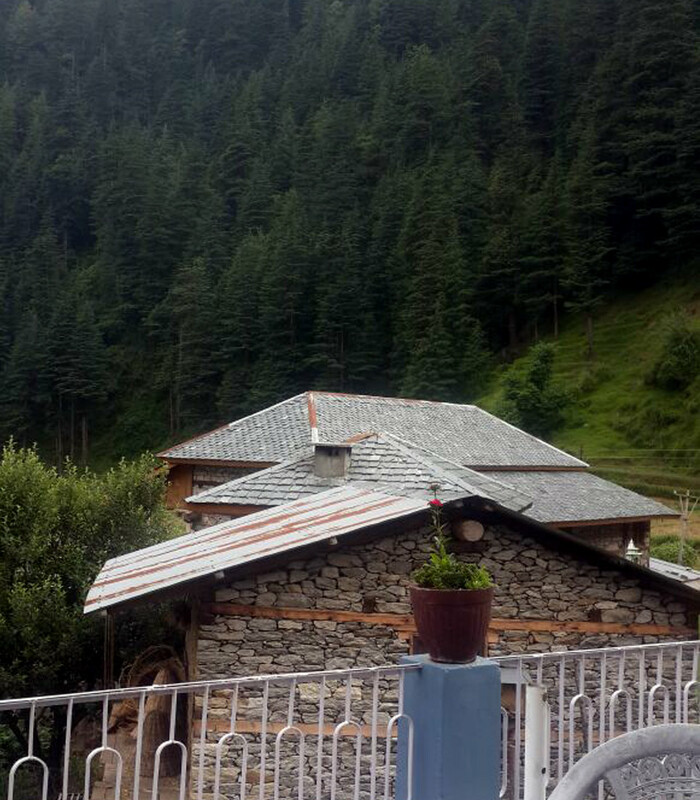 From Barot, you drive to a small village called Luhardi (7 kms/ 30 min). Luhardi is the last vehicle point. So you leave your vehicle here, and start a moderate trek further up the hill. It's a beautiful trail along the Lamba Dag river as you venture into wilderness leaving the last trace of civilization behind. You trek for an hour before reaching the village of Polling. Nestled deep inside the whims of the Chota Bhangal area, Polling is the typical fairytale village literally cut off from the outside world. As you walk across the village, you will come across the simple inhabitants going about their daily works, content and happy into the little world of their own. You are bound to get smitten by the smiling children, the narrow trails, and the traditional Himalayan wooden houses. As you leave Polling behind, the trail cuts across a forest. 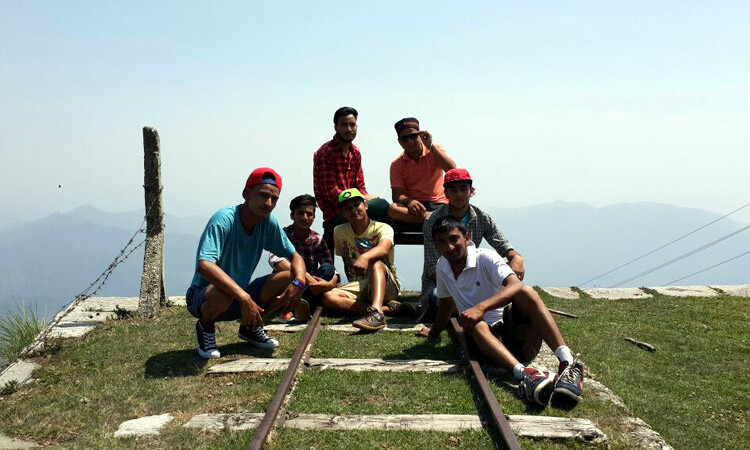 It's a beautiful stretch of the trek providing some cool shades n gorgeous views of the majestic Dhauladhar ranges. 30 minutes of further trek will bring you to a small bridge in the middle of a wide valley. 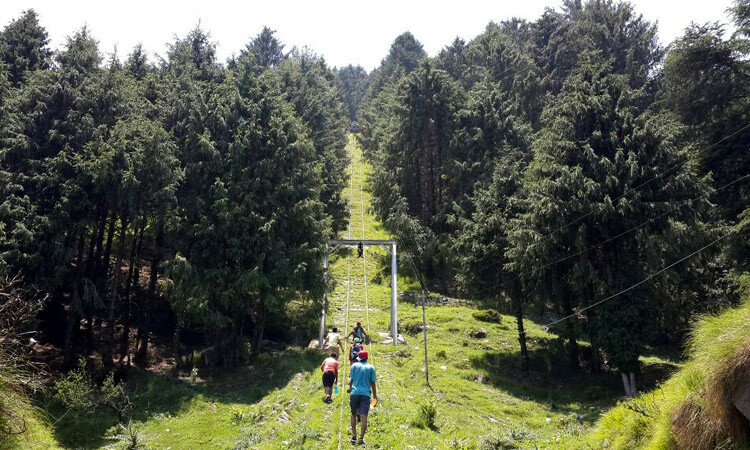 Have your packed lunch in the stunning scenery of towering peaks, commanding deodars and mesmerizing grasslands. Spend some time soaking in the aura of the beautiful landscape. You take back the same route and reach Luhardi, where your vehicle will be waiting for the drive back to Barot. 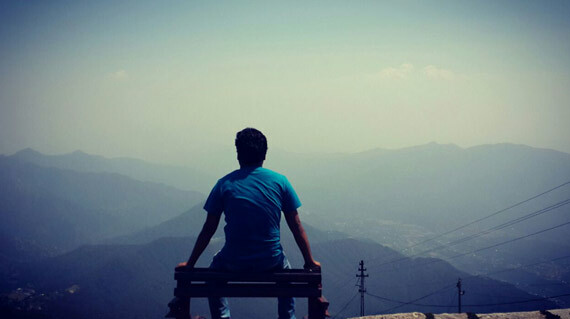 Even Barot will seem to be a big town when you start realizing how deep inside you ventured into the unknown. Relax and unwind in the evening bonfire with snacks. Dinner at the home stay. For two days, you must be mesmerized by the sheer grandeur and elegance of the deep cedar forest at the back of your home stay. Today's the day to finally venture into it. 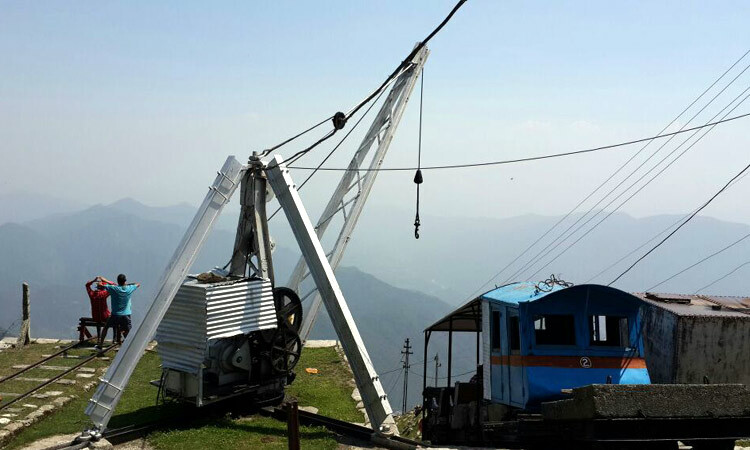 At an altitude of 8000 ft, Winch Camp is the top most station of haulage trolley. Built in 1926 by an English engineer Col. Batty, the haulage trolley station is located on top of the mountain between the Barot Valley and Joginder Nagar Valley. The trek to the Wynch Camp is a gorgeous 3 hours walk through a beautiful Cedar, Oak and Rhododendron forest. The moderate ascend is like a foray into the realms of fantasises as the silence of the deep forest is perturbed by the chirps of birds, and the occasional small water streams on the way. Walk at your own pace, and admire the astounding beauty of nature. You start walking on the old railway tracks when you move on the other side of the hill. The tracks were built to transport the materials from one point to another. It's an easy walk from here on. You'll be awe struck with the stunning views when you reach the Wynch Camp. 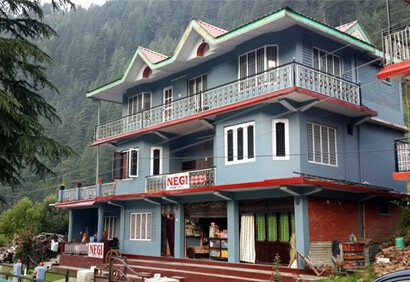 Located right on the edge of the cliff, you will be able to spot Joginder Nagar town, Beas River, and some amazing views of the Kangra District and the Dhauladhar ranges. Lunch at Wynch Camp. Explore the serene surroundings and see the control room of the haulage trolley. A great place for some amazing clicks. Start the descend back to Barot. You'll take half the time to complete the journey back to the village. It's your last day in Barot. So you can go for a walk along the river if your legs permit. Otherwise, relax on your beautiful terrace with your delicious evening snack and a warm cup of tea. Day 4 Its time for the fairytale to end. Have a sumptuous breakfast and bid farewell to your wonderful hosts, with a promise to return to this wonderland, that is Barot. - Transportation Cost to Barot and return. - Anything not mentioned in the Inclusions.